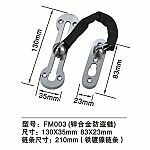 A door chain, security chain, or security door chain consists of a small chain attached to the door frame, which attaches to a track on the door for security purposes. 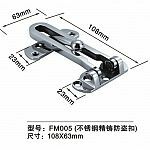 Door chains are mainly intended to allow a person inside a structure to open the door slightly for purposes of communicating with individuals outside or exchanging small objects through the door while still preventing the individuals outside from gaining unauthorized access into the structure. 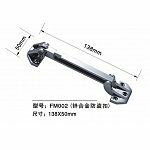 It is a type of lock that is often used along with other types of locks to secure a door. 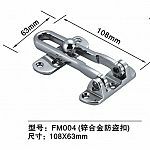 2, Material: Zinc alloy, With installing screws. 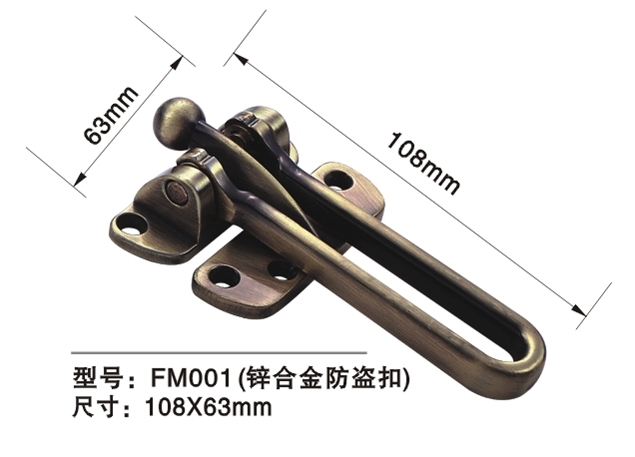 3, Finish: Satin Chrome, Satin Nickel, Polished chrome, Gold plated, Antique Brass, Antique copper.